Natural leather boots. 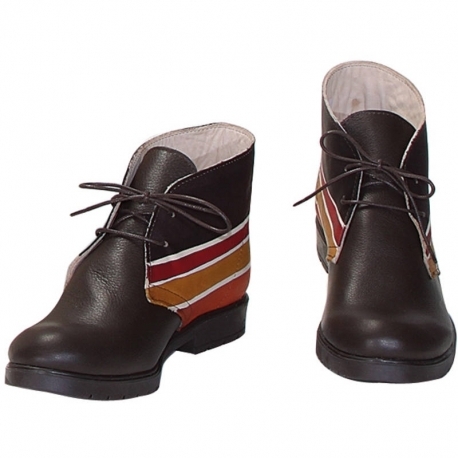 Very original with shoelaces, they are ideal with casual clothes for your free time. Match them with your Acquerello handbag! Colors brown, red, orange and yellow and geometrical pattern.